Hee-soo has been a bestselling author for the past 20 years. But her reputation and fame are all butchered overnight when she is accused of plagiarizing a competition entry that she juried. She falls into despair for 2 years, but with the help of her long-time friend publisher, she dreams of a spectacular comeback. She drives to a remote pension deep in a small town with her daughter Yun-hee. At this quiet and uncanny pension, Yun-hee begins talking to an unidentified figure. Dying for a new source of inspiration, Hee-soo turns the stories that Yun-hee hears from this figure into her new book, which turns into a bestseller. But her regained fame doesn�t last long as she is again accused of plagiarizing a novel that was published 10 years ago. 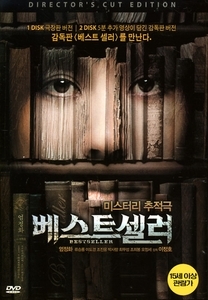 In order to prove her innocence, Hee-soo begins a mysterious journey to expose the truth. Running Time: 118 + 123 min.